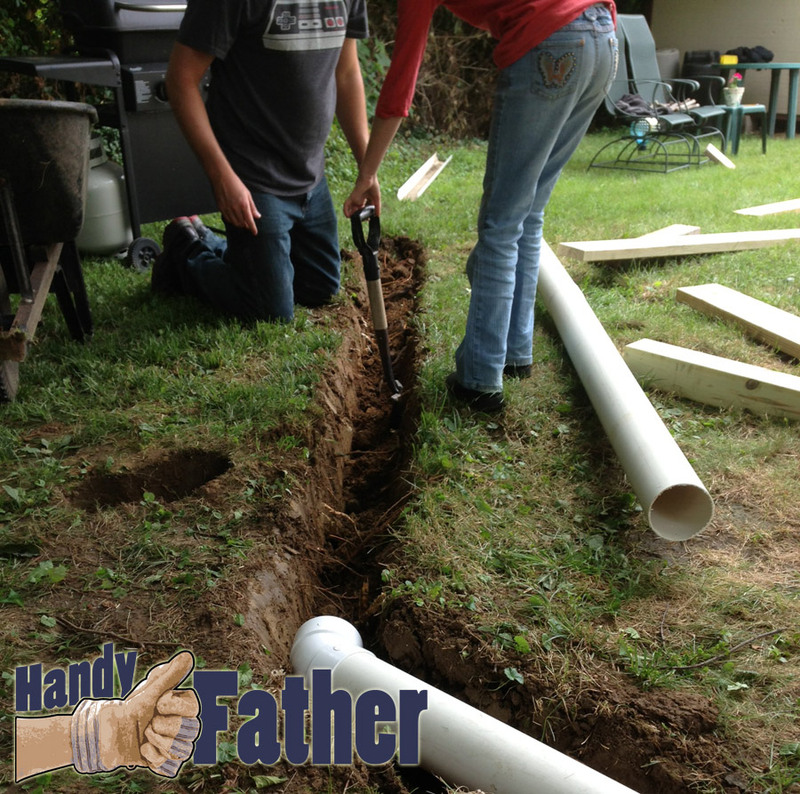 Home » Handyman Blog » Handy Father » Handy Father Physical Fitness Day 2: Dig a trench, get strong. ← Physical Fitness Day 1: Pushmowing IS cardio right?? Physical fitness day 2 diet: 4 – 12 oz glasses of water today. Snacks: Ice cream, a few crackers with cream cheese. Physical fitness day 2 exercise: Today being Sunday, we went to church, then ate lunch. Afterwards I helped my father-in-law by digging a 25′ trench to bury a drainage pipe. I decided to count this digging and wheel barrow use as my strength training. I am considering it to be a back workout. A handy father is, I believe, a practical one. You must count physical work into your physical fitness! My fitbit says that I took 12,206 steps today, and walked the distance of 5.83 miles. Much of that was in the form of a walk with my family around town. Physical fitness day 2 was somewhat successful in that I made a conscious decision to go for a walk instead of sitting around watching videos before putting the kids to bed. My two youngest kids rode in a walking stroller, and my oldest rode on her Razor Scooter . This lets my wife and I walk at a faster pace. A faster pace while walking lets a walk become more of a cardio workout, and we can go further before the kids get too bored with that walk. Less complaining is better for me certainly! I really enjoy the family time out walking through town looking at houses on the lake. We talk about home features we like while we’re out. An update to yesterday’s activity… I ended up doing 27 pushups, but didn’t do any abdominal workout. No excuses, just didn’t. The knee is feeling a bit better. Hopefully my morning it will be all good, and I can look into some leg strengthening exercises. I’m also interested in trying out some sprinting drills. The cardio will build endurance, where the sprinting will make power and speed.